In their early years Audio Research built the ARC ST-70-C3 as a kit for the legendary Dynaco ST-70 and later as a factory mod. 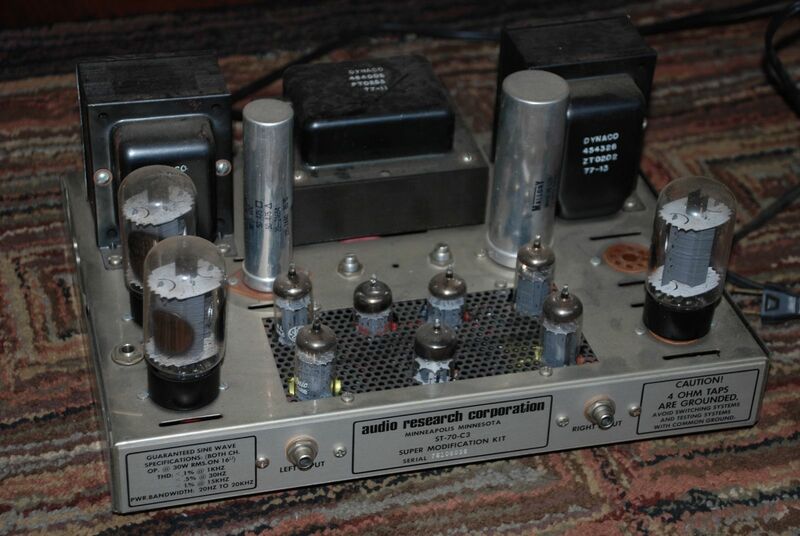 They completely did away with the factory Dynaco circuitry in the ST-70, using only the chassis and transformers from the original amplifier – the result was a stellar amplifier unique in tube amp history. Just look at all those tubes! 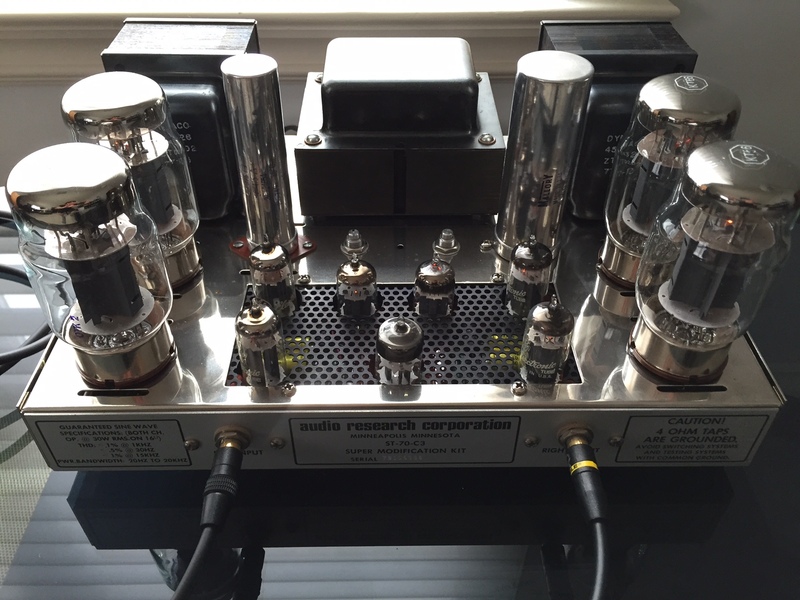 We were fortunate enough to have a customer send us his ARC ST-70-C3, directly from purchasing it out of an estate of a late collector. It arrived untested, dirty and dull. We gave it the full AEA restoration treatment, and now it shines and sounds like new – ready to rival any modern tube amplifier in performance. The original Dynaco transformers were carefully removed from the chassis. The entire amp was ultrasonically cleaned in our immersion tank. This unique method of immersing the entire unit in an ultrasonic cleaner using a proprietary cleaning solution gives remarkable results. 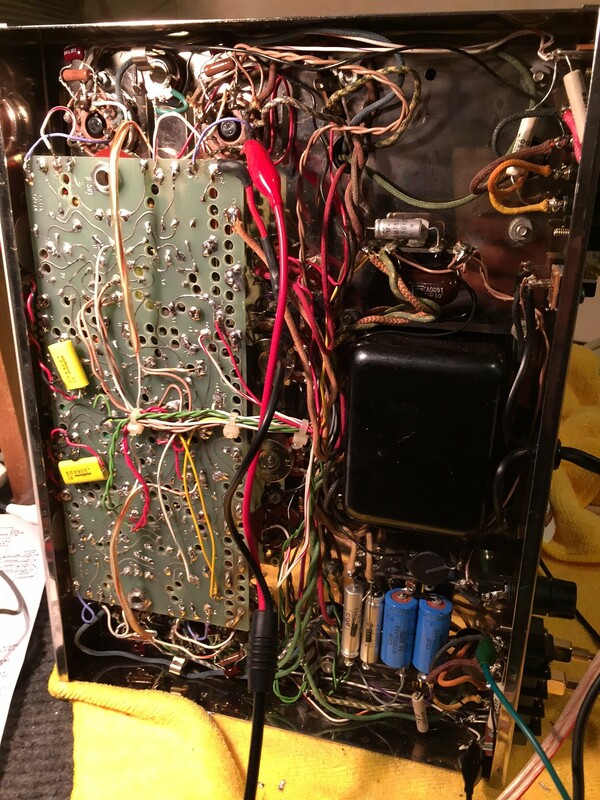 Not only was the chassis cleaned of corrosion, but all the parts are cleaned inside and out— including tube sockets, input jacks, speaker terminals, controls and switches. Even the wires and solder joints came out shinning like new and free of corrosion. After ultrasonic cleaning, the ST-70-C3 was dried in a special temperature-controlled dehumidifier overnight. Then the chassis was hand polished to an incredible shine. 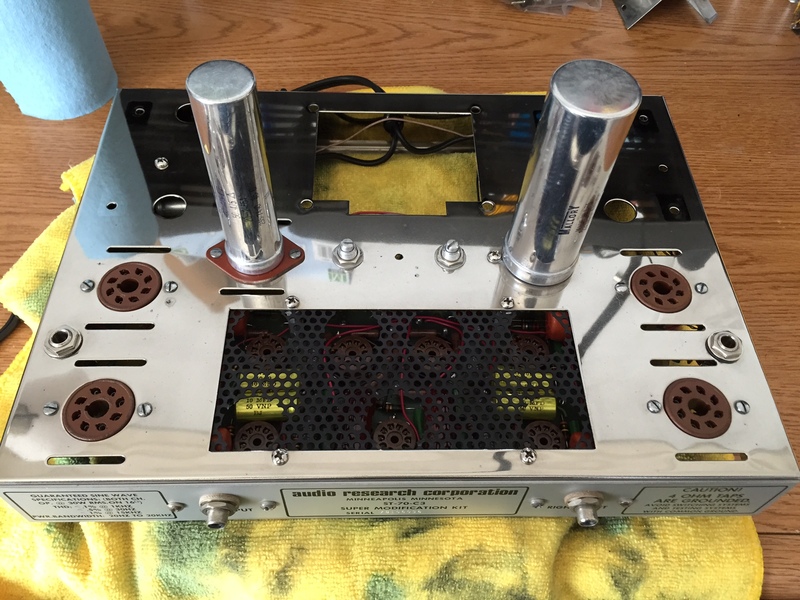 The result is an amp that is literally like-new, without all the corrosion on the chassis, tube sockets, switches, and jacks etc. that reduces the performance and reliability of vintage electronics. After that we re-assembled the amp and begin the electronics repair/restoration. The power supply was modified to optimize performance with modern high performance filter capacitors with a 200% increase in reserve capacity. All coupling and bypass capacitors were upgraded to high quality “audiophile” types, with each hand selected for optimum sound quality in the circuitry. Next the driver balance and bias was critically aligned using a spectrum analyzer. The use of a spectrum analyzer instead of a simple distortion analyzer allows not only for more accuracy than the traditional “service manual” methods… It also allows the “nulling out” of odd order harmonics, especially the 7th and 9th order harmonics which are the ones that contribute most to harsh and fatiguing sound quality.